Our brand CTI is commited to ‘Construction Towards Innovation’. 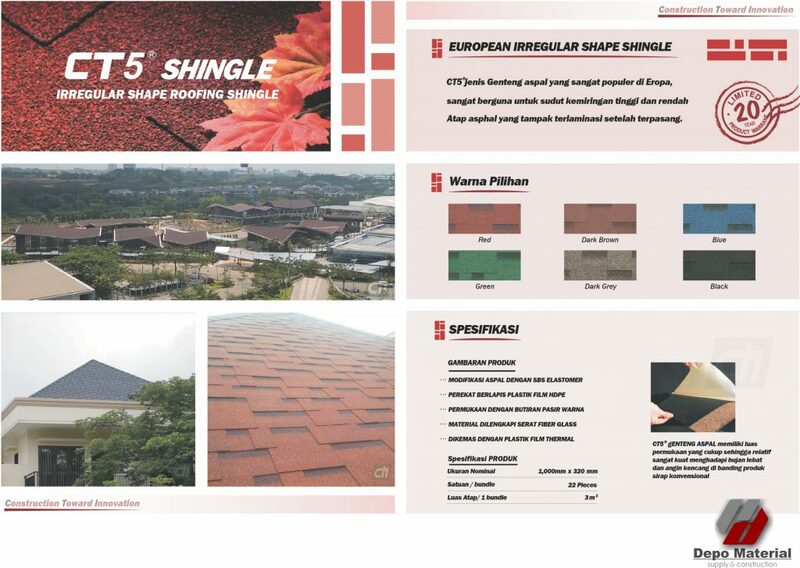 CTI is the pioneer of manufacturing asphalt shingles in Indonesia established since January 2012. The synergy of CTI’s manufacturing platform and Elite Benchmark S/B’s distribution network has made a great contribution to regional building material industry in Malaysia and Asian countries nearby. CTI uses high quality pigment and crushed stones to secure excellent protection for the asphalt compounds from UV attacks, which is very essential for long term performance of asphalt shingles. 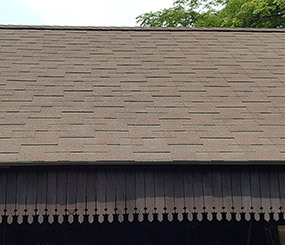 CTI produces self-adhesive shingles using high performance adhesive asphalt on the back side of shingles covered with protective film. The advantage of it is rapid and easy installation as well as preserving from wind blowing-off stability. 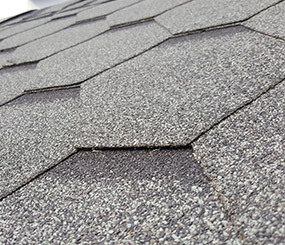 Shingles roofing are a roof covering made up of of individual overlapping materials. These materials are more commonly flat, rectangular shapes laid in courses from the bottom edge of the roof up. Shingles roofing are made of various materials such as wood, slate, flagstone, metal, plastic, and composite materials such as fibre cement and asphalt shingles. 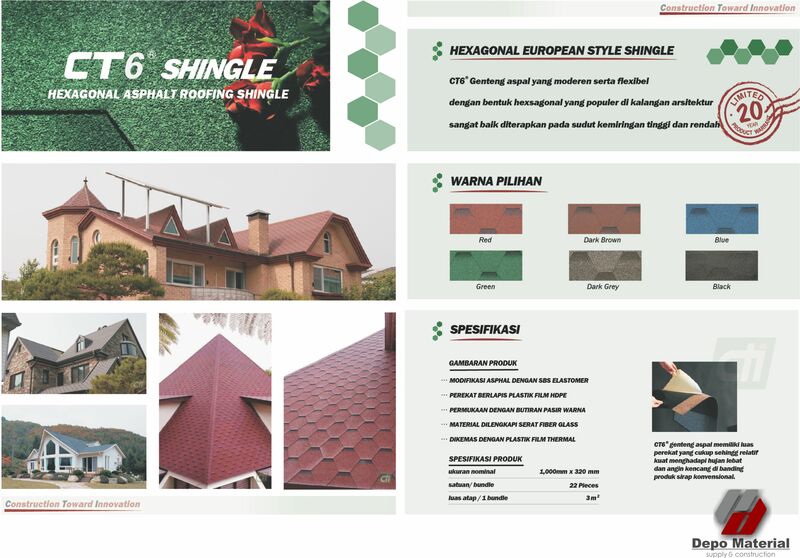 The most commonly used shingles roofing are ceramic shingles roofing tiles, which still dominate in Europe and some parts of Asia. However they are still usually just called tiles. Roof shingles may deteriorate faster and need to repel more water than wall shingles. 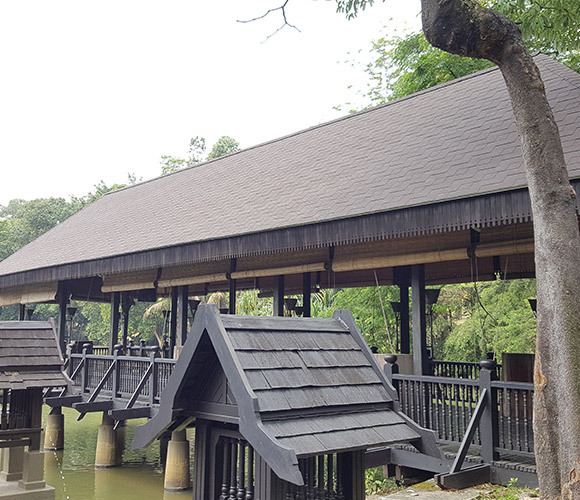 They are a very common roofing material in the United States.